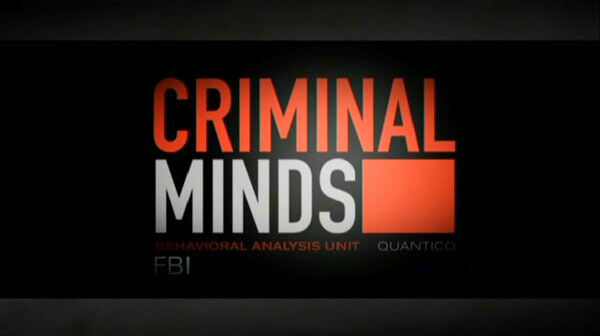 When we last saw the BAU (Behavioral Analysis Unit) — comprised by Unit chief Aaron Hotchner (THOMAS GIBSON) and Special Agents David Rossi (JOE MANTEGNA), Alex Blake (JEANNE TRIPPLEHORN), Dr. Spencer Reid (MATTHEW GRAY GUBLER), Derek Morgan (SHEMAR MOORE) and Jennifer ‘JJ’ Jareau (A.J. COOK) and computer whiz Penelope Garcia (KIRSTEN VANGSNESS) — The Replicator (revealed to be a scorned former Special Agent played by Mark Hamill) had committed several killings over the course of the season, culminating the death of BAU Section Chief, Erin Strauss. 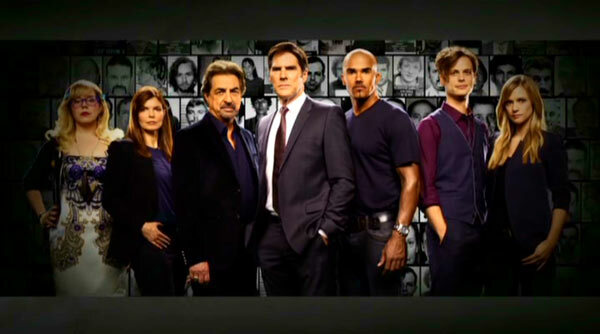 Now with the beginning of the ninth season, the unit is without a section chief and one person the FBI is looking to fill the slot is none other than Hotch, though he’s conflicted as taking the job would remove him from action… on the other hand, it would also give him more time with his son. In the two-part season premiere episodes ‘The Inspiration’ and ‘The Inspired’, the agents are sent to Glendale, Arizona where women have been killed and found in a praying, kneeling stance, brutally kidnapped, raped and fed human flesh before being killed. It’s one hell of a way to start a season and features a great performance from guest (and character) actor Fred Koehler. Some other highlights of this ninth season include: ‘Route 66’ where Hotch gets some kind of closure with the death of his wife (Meredith Monroe) and even gets a visit, via hallucination after collapsing due to the near fatal stabbing, from serial killer George Foyet and anytime we get a return visit from C. Thomas Howell is AOK in my book; he was one hell of an adversary. 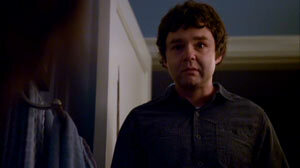 Another one of my favorites is ‘The Caller’, a truly creepy episode that might’ve better suited for Halloween even with its serious undertone of a child kidnapping (for the record, ‘In the Blood’ was the Halloween-centric episode). “Criminal Minds”: Season 9 is a solid entry into the series and also has the departure of a main character, though thankfully in a peaceful (i.e. 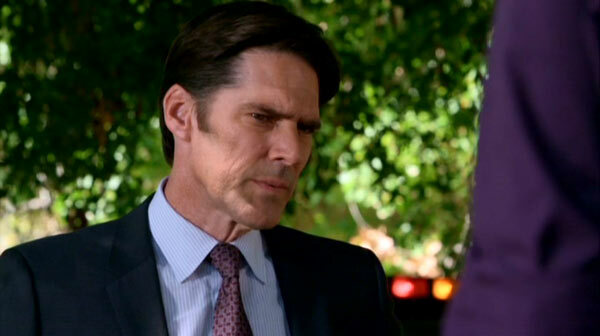 non-death) kind of way, meaning nothing convoluted like when they “killed” Emily Prentiss. In any case, the crimes this year are pretty basic outside of a couple, such as the two-part season premiere and the 200th episode providing background to JJ’s time away from the BAU leading to an intense episode that easily could’ve been extended beyond a single episode. To match previous season sets, the 6-discs are housed in 3 slim cases, (2-discs each) the back of each has the episode, plot summaries and whatever features are on the discs. On the surface, it seems to be light on features but there’s a bit more than meets the eye. Each episode has something called Eyes Only (TRT 1:54:00), behind-the-scenes featurettes providing insights into the particular episode and interviews with the writers, producers and occasional cast member. They range in running time from 3 to 14 minutes. Episode Commentaries – ‘Gatekeeper’ and ‘Blood Relations’ with Actor/Episode Director Matthew Gray Gubler and on ‘200’ with Actress A.J. Cook and Executive Producer Erica Messer. Deleted Scenes (TRT 6:36) are included on ‘The Inspired’, ‘Route 66’, ‘Bully’, ‘The Road Home’, ‘200’, ‘Blood Relations’ and ‘Demons’. Gag Reel (1:28) contains the typical line flubs and some on-set antics. The 1.78 anamorphic widescreen video more or less matches what is seen on the original broadcast: darker in tone, colors tend to be washed out, though this is not to say there isn’t anything, but it’s taken down in order to match the nature of the cases. There’s not a huge amount of artifacting and I didn’t notice any major issues with pixilation either making for a fine transfer, just nothing that pretty to look at. The Dolby Digital 5.1 track certainly packs a punch from the boisterous dialogue levels to the opening titles where the subwoofer kicks in providing an unexpected extra boost of depth. The score comes across each channel evenly and any of the numerous action scenes, including car chases and gunfire, provide decent reverberation throughout any media room. 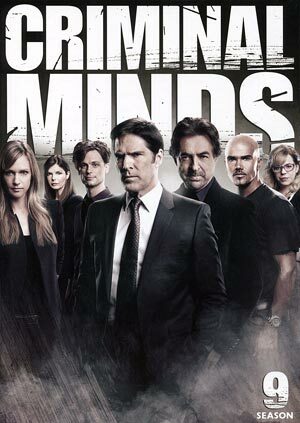 Overall, “Criminal Minds” remains one of my favorite shows today (note: I steer more towards procedural crime dramas) and while the ninth season isn’t predominantly special, there are more than a few solid episodes (‘The Inspiration,’ ‘The Inspired,’ and ‘200’) and even the others are entertaining if not routine. The DVD released by Paramount has good audio/video transfers and, even though doesn’t look like a whole on the back cover, a plethora of bonus material. I want to know if the disk menu shows spanish subtitles; the box doesn’t show it. No, there’s only English subtitles.